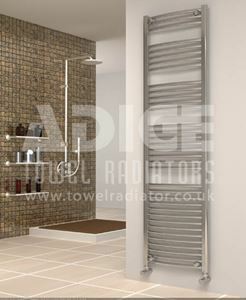 500mm wide and 1150mm high anthracite towel radiator with 506 Watt - 1728 BTU/h @ Delta 50. 500mm wide and 1150mm high chrome curved heated towel rail with 403 Watt - 1374 BTU/h @ Delta 50. 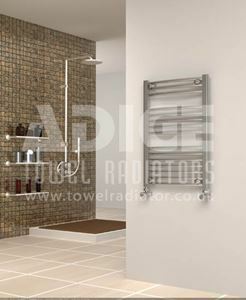 500mm wide and 1150mm high chrome flat heated towel rail with 400 Watt - 1365 BTU/h @ Delta 50. 500mm wide and 1150mm high white curved heated towel rail with 510 Watt - 1739 BTU/h @ Delta 50. 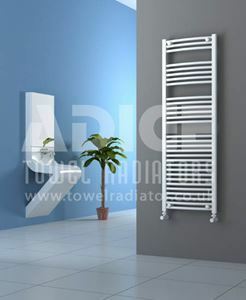 500mm wide and 1150mm high white flat heated towel rail with 506 Watt - 1728 BTU/h @ Delta 50. 500mm wide and 1500mm high chrome curved heated towel rail with 510 Watt - 1739 BTU/h @ Delta 50. 500mm wide and 1500mm high chrome flat heated towel rail with 506 Watt - 1727 BTU/h @ Delta 50. 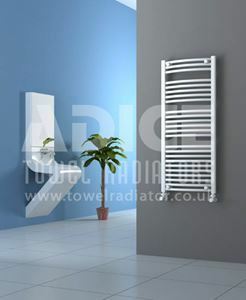 500mm wide and 1500mm high white curved heated towel rail with 645 Watt - 2202 BTU/h @ Delta 50. 500mm wide and 1500mm high white flat heated towel rail with 641 Watt - 2187 BTU/h @ Delta 50. 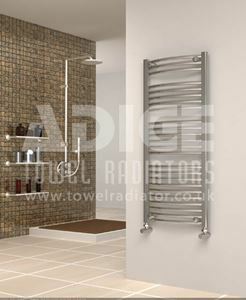 500mm wide and 1750mm high chrome curved heated towel rail with 595 Watt - 2029 BTU/h @ Delta 50. 500mm wide and 1750mm high chrome flat heated towel rail with 591 Watt - 2015 BTU/h @ Delta 50. 500mm wide and 1750mm high white flat heated towel rail with 748 Watt - 2551 BTU/h @ Delta 50. 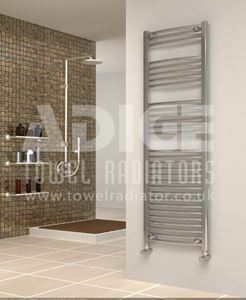 500mm wide and 750mm high anthracite heated towel rail with 320 Watt - 1093 BTU/h @ Delta 50. 500mm wide and 750mm high chrome curved heated towel rail with 255 Watt - 870 BTU/h @ Delta 50. 500mm wide and 750mm high chrome flat heated towel rail with 253 Watt - 864 BTU/h @ Delta 50. 500mm wide and 750mm high white flat heated towel rail with 320 Watt - 1093 BTU/h @ Delta 50.